» Godrej Alive Mulund Available offers 2, 3 and 4 BHK Apartments & Flats. 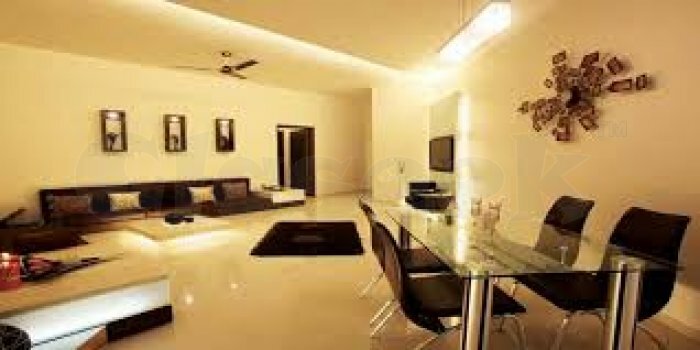 Godrej Alive Mulund Flats & Apartments is perhaps the most trusted brand in the real estate market of the country and they are pre lunch with one project after another and all of them offer some amazing world-class facilities. Their latest venture is the residential project at Thane, Mumbai. What makes the Godrej Alive different from the rest is that they understand the requirement of the customers and strive all the time to offer the best. The Godrej Alive is an pre lunch project which will have 2 BHK to 4 BHK ultra-luxury Flats, Apartments and Penthouse. As mentioned above, the project will have properties that will range from 2 BHK homes of 127 sq. m. while the 4 BHK homes have an area of 585 sq. m. This means that the apartments are available to all with the budget that they can afford. The features that are being offered are some of the best that you could probably get. The Godrej Alive will have an entrance with a grand ambiance that can simply make you feel pride as soon as you step in. The system of round the clock security service will make you and your family member’s safe. There will be 8 residential towers with large and spacious corridors. There will be 5 elevators provided in each of the towers, and the A, B and C wings will have triple height entrance while the E wing will have double height. Godrej Alive will have 2 basements for the members in the tower. There will be naturally-lit apartments with ample flow of fresh air and wide corridors. Huge parking will also be created that will help the members keep their vehicles safe. Amazing and exciting amenities have always been a part of every project undertaken by Godrej Alive Mulund. It will have music jam room, interactive squash court, and culinary club. The Bungee dancing and air yoga will surely excite the members. Pottery club, archery, boxing simulator will be some other added amenities that you will find only in this project in the area of Thane. Apart from Godjre Alive Thane West Mumbai, there will be Segway, kids’ zone, senior citizen club, an observatory with a telescope, running track and aqua gym on our list of amenities. Don’t you think the facilities are simply amazing? If you want to lead a world-class life, then just dial their number and get your registration completed as early as possible.